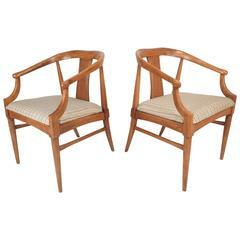 A pair of beautiful midcentury chairs from Europe in a light sage green velvet fabric. 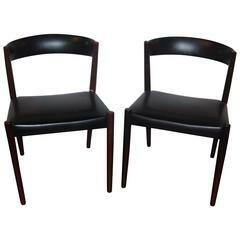 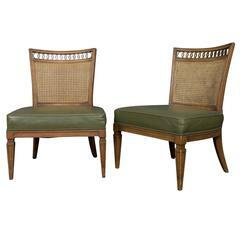 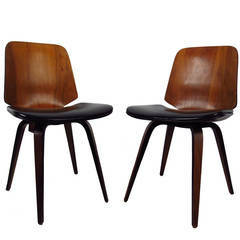 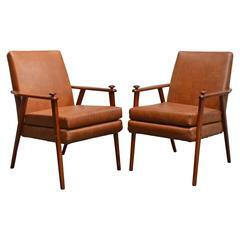 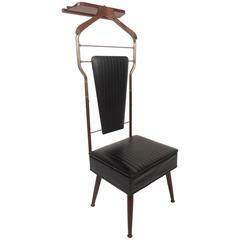 Pair of 1950s Italian side chairs in green leather with wicker back and brass detailing. 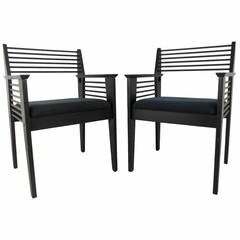 These chairs are sold in "as is" condition.